With Christmas approaching quickly, many of us struggle to find that perfect gift for our partner, friends or family. We all have people in our lives who are particularly difficult to buy for. This is where smart rings come to the rescue. They’re affordable, modern and stylish and are designed to add value to your life through merging multiple technologies that can help both physical and mental well-being. To that end, we’ve pulled together a guide for smart ring Christmas gift ideas. No matter what your budget, there is a smart ring available. To make things easier for you, we’ll tell you what sort of person each ring might suit. But for more in-depth review, check out our reviews of each ring. There are lots of rings that are currently in development, which obviously doesn’t help you if you need one now. So we’ll stick to rings that are available. To learn about smart rings that are currently being developed, head over to our blog. If price isn’t really an obstacle, there are some amazing smart rings to put a smile on anyone’s face at Christmas. Here is our list of top end smart rings. 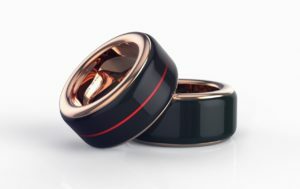 The Oura Ring is a stunning achievement in wearable technology. Recently made even more famous when it was seen on the hand of Prince Harry (check out our Instagram photo of this). Someone who wants technology to help them achieve a healthy balance in their life. Head over to Oura to get the ring. One of the most sought after smart rings is the HB Ring. It’s good looks and unique feature have been a huge drawcard to couples and friends. The HB Ring can let you feel and see your partner or friend’s heart beat – in real time. You wear one ring, they wear the other. And after setting it up, by simply tapping the ring, it will vibrate and light up, showing the heartbeat of the person wearing the other ring. 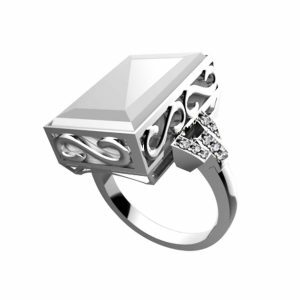 The ring is made from saphire and there is a solid rose gold option available. It has become a popular gift for couples and has even been used as wedding rings! Couples, or anyone who wants to feel the presence of someone special, when they can’t be near them. Head over to The Touch to get the ring. Ring Zero is a sleek looking smart ring that will let you control other smart devices, by simply gesturing. Just configure the ring, then click a button and gesture to do things such as play music, take photos, turn appliances on and off. Check our in-depth analysis here. Those who have other smart devices and want an easy to control them. You can get the Ring Zero from Amazon. You don’t need to spend a lot to get a fantastic smart ring. The following collection are a little cheaper, but still offer great features. Here is our list of mid-range smart rings. The Motiv Ring packs a lot of technology into a small package and is priced very competitively. 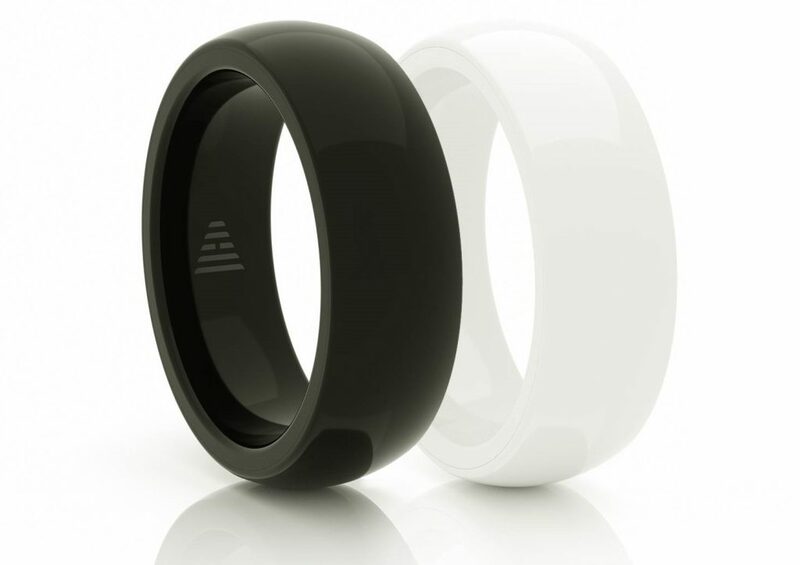 The Motiv is predominantly a fitness centric smart ring. It tracks steps, heart rate, calories burned, sleep, and resting heart rate. By tracking these metrics, the ring can help to regulate sleep, exercise and activity. The Motiv will appeal to fitness fanatics. You can get the Motiv Ring from Amazon. The Mclear Ring offers the ease of being able make contactless payments with a smart ring. It’s beautifully manufactured and very durable. 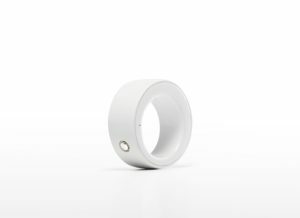 Quite simply, the McLear Ring allows you to pay using your ring. Just “tap” on a compatible PayWave payment device (eg at your coffee shop) and you’re done. You can also connect the ring to the McLear app to keep track of spending. The Mclear Ring will appeal to those wanting a simple and stylish option for making payments. Those who hate rummaging around for their cards. It should be noted that the McLear Ring is only currently available in the UK, to British citizens with UK addresses and in Australia via the BankWest partnership. You can get the McLear Ring from the McLear website here. The K Ring (previously called the Kerv) offers one of the most compelling features in a smart ring. Payments. It is also one of the most beautifully built smart rings available. The K Ring will allow you to make a payment, anywhere that Mastercard contactless payments are accepted. Much in the same way that other devices are used to make payments, such as your compatible smart phone or smart watch. 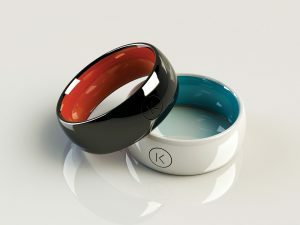 The K Ring will appeal to anyone who enjoys convenience when paying for goods. Those who already use a smart device to make payment will love how compact and light this is as an alternative to their phone or watch. 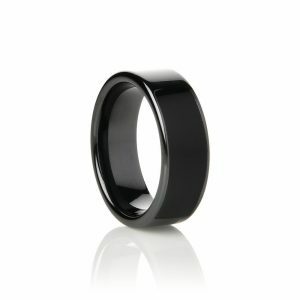 You can get the Motiv Ring from myKring.com. Some smart rings are designed to be understated and sleek. Others are designed as fashion items, to make a statement. This is the Ares smart ring, by 7. The Ares has two primary functions, firstly, it is a notification hub for your finger, letting you know when there are new text messages, emails etc. Then there’s it’s SOS function, where by simpy tapping the ring, you can alert loved ones. Fashion conscious people who want a safety device on their finger and some convenient tech to help simplify their lives. Don’t have too much to spend? No problem. There are still terrific smart rings available at low prices. They may not feature some of the premium technology in more expensive rings, but they still allow the wearer to leverage technology to enhance their life and make a fantastic gift. Here is our list of budget smart rings. NFC Rings are much simpler smart rings. They contain an NFC chip that allow you to configure to do actions when they come into close contact with other NFC compatible devices. By using NFC tags, the sky is the limit. Program the ring to complete activities for you when your ring comes into contact. For example, place an NFC tag near your front door, then why you touch your NFC ring on that tag, set your phone volume to silent and disable WiFi. All NFC rings are largely the same in terms of functionality. The main difference between the rings is the materials they are made from and the quality of the construction. 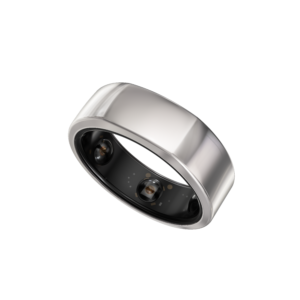 If you purchase one of these rings, make sure to buy some NFC tags as well. These allow the wearer to set up automated smart actions. You can get NFC tags at Amazon. 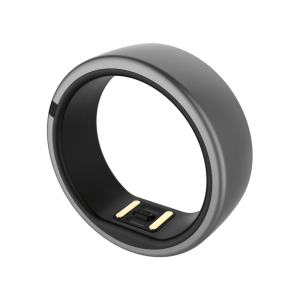 Those who want a sleek looking ring and want the flexibility of NFC configuration. You can get the McLear NFC Ring from Amazon. You can get the Jakcom NFC Ring from Amazon. This entry was posted in Buying Guide and tagged Ares 7, HB Ring, Jakcom, K Ring, Motiv, OURA Ring, Ring Zero. Bookmark the permalink.